The Central Library of Budge Budge Institute of Technology plays a vital role in the academic activities of the Institute. The Library is located in the third floor of the Administrative Block. The central library is housed in a 5000 sq ft. hall with reading room facility for 180 students.The library collectively supports teaching, research and extension programmes of the Institute. It has a rich pool of text and reference books, etc. The books available in the library cover all the subjects according to academic course structure. The books in the library are classified according to the 22nd edition of Dewey Decimal Classification. The total collections include 40,660 books and the titles are 3,865. (Own repository of hundreds of e-books, e-journals (National and International) and audio / video lecturers from IITs, subscription with National Programme on Technology Enhanced Learning (NPTEL). Our aim is to provide this opportunity among the students and faculties to enhance the quality of engineering education by developing curriculum based videos and e-books. A sprawling 5000 sq ft Central Computing Centre having HCL high speed desktops having 18.5” TFT monitors, with Microsoft latest Operating Systems and Softwares. All are connected with Gbps LAN and High Speed Internet Leased Line, controlled by centralized server. 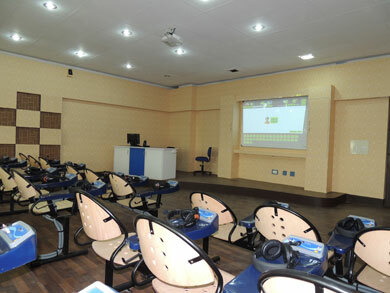 E-Classrooms are available dedicatedly for every branches to provide a quality education with audio - visual facilities. Apart from English, the Lab has also facilities for teaching a few other International Languages like French, German, Spanish and Japanese, for students who are keen to work in foreign countries.